SwingJack acid for the freakiest house heads from AMUS! 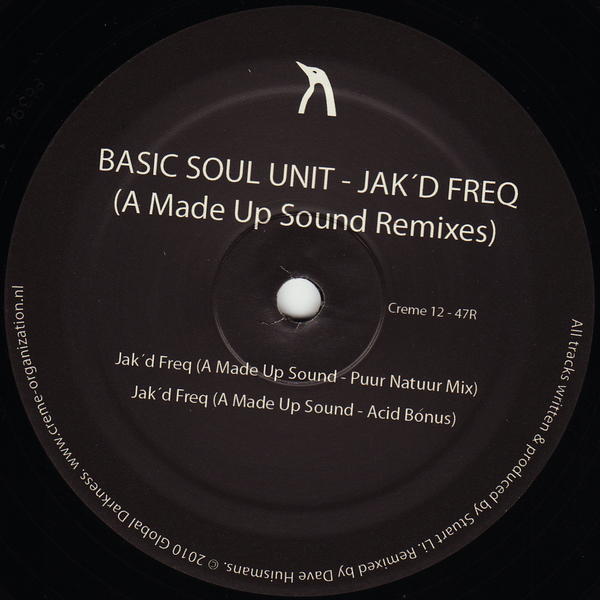 Dave Huismans aka 2562 give Basic Soul Unit's 'Jak'd Freq' a real brokebeat workout, removing most of the original to leave behind a virulent 303 snaking between mad angular syncopations. The 'Puur Natuur Mix' keeps it on a more dubbed flex, while the flipside really cuts loose with the squiggles. Serious crossbred mongrel sh*t for the more able dancers and DJs!